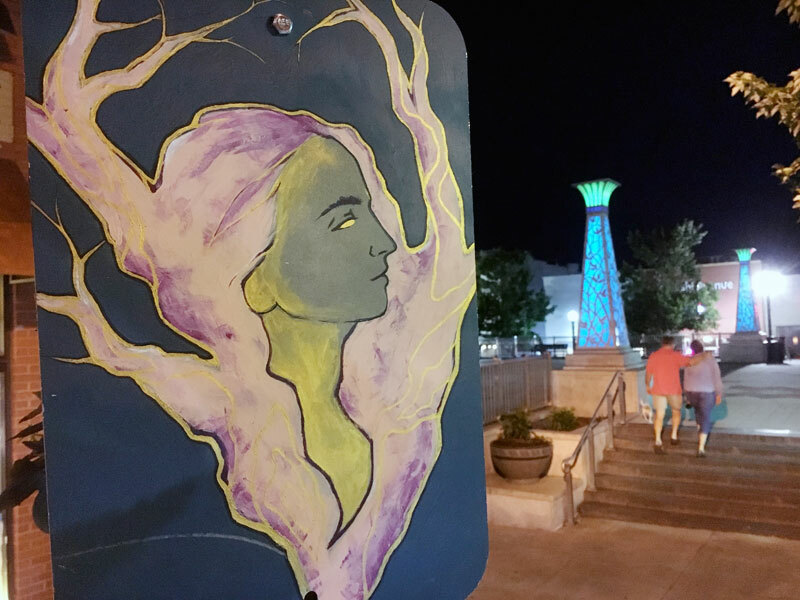 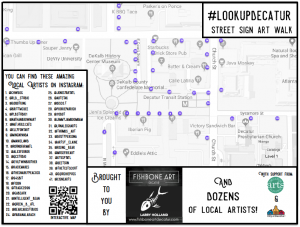 #lookupdecatur is a city-wide art installation that encourages us to look up from our screens, engage with the world, and find art in unexpected places. 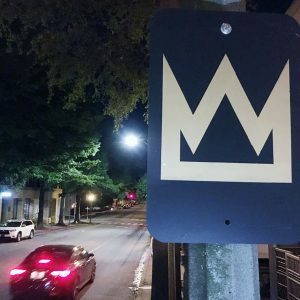 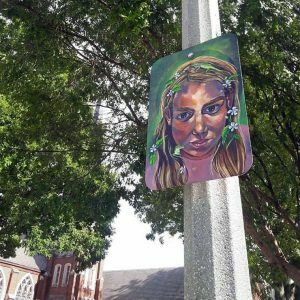 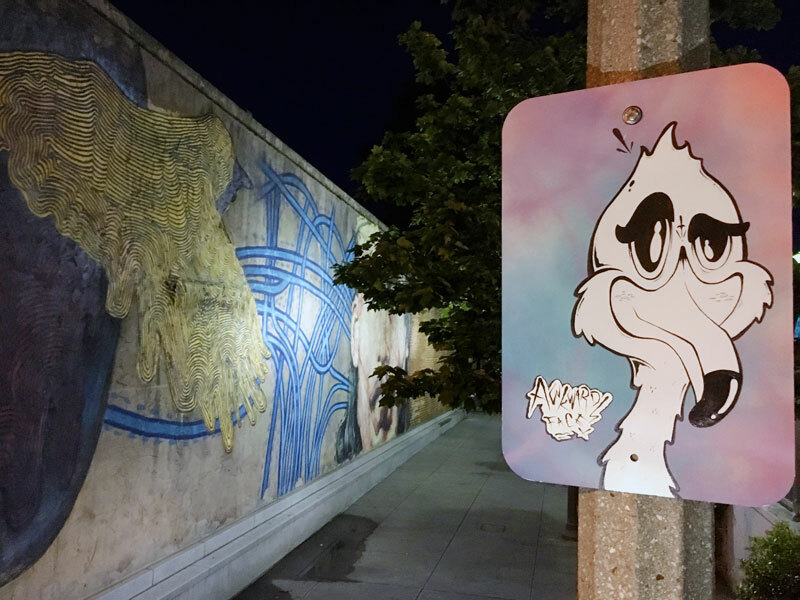 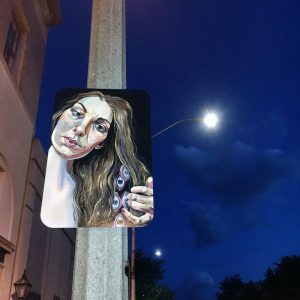 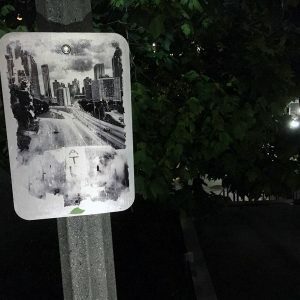 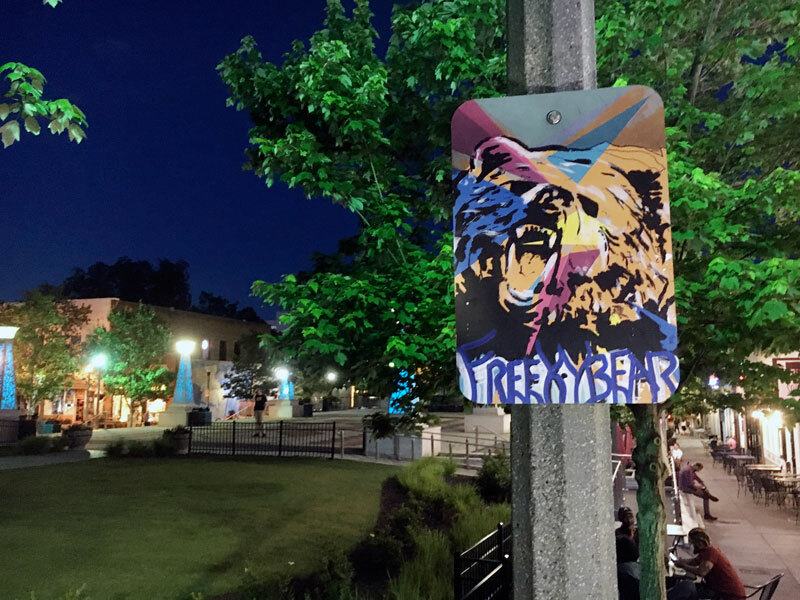 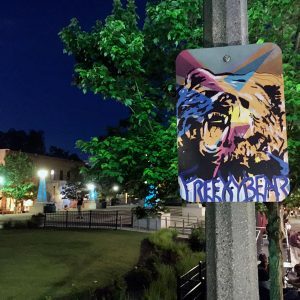 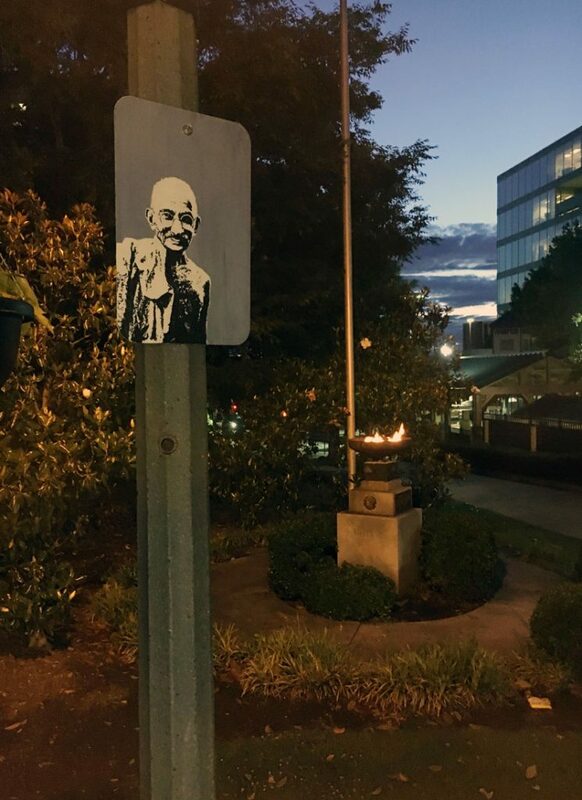 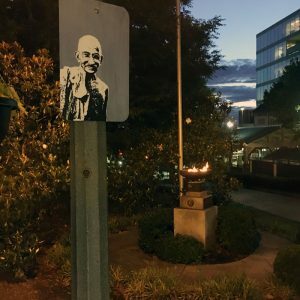 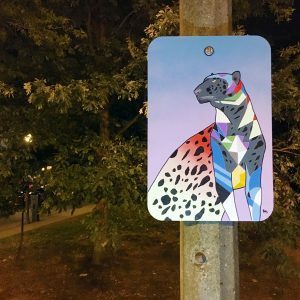 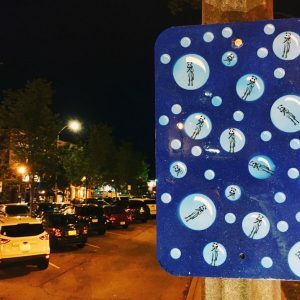 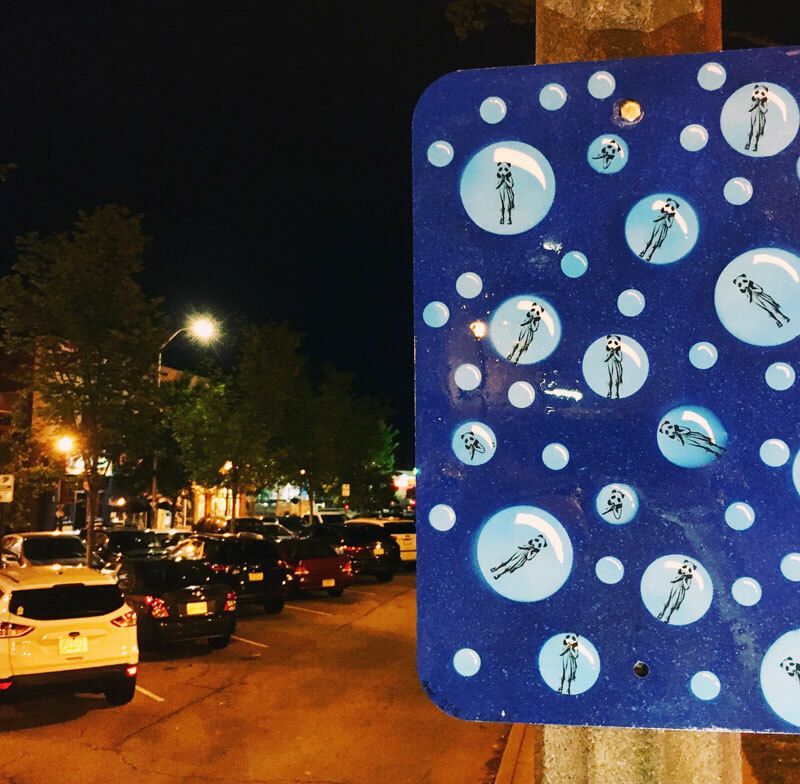 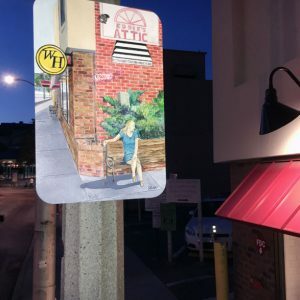 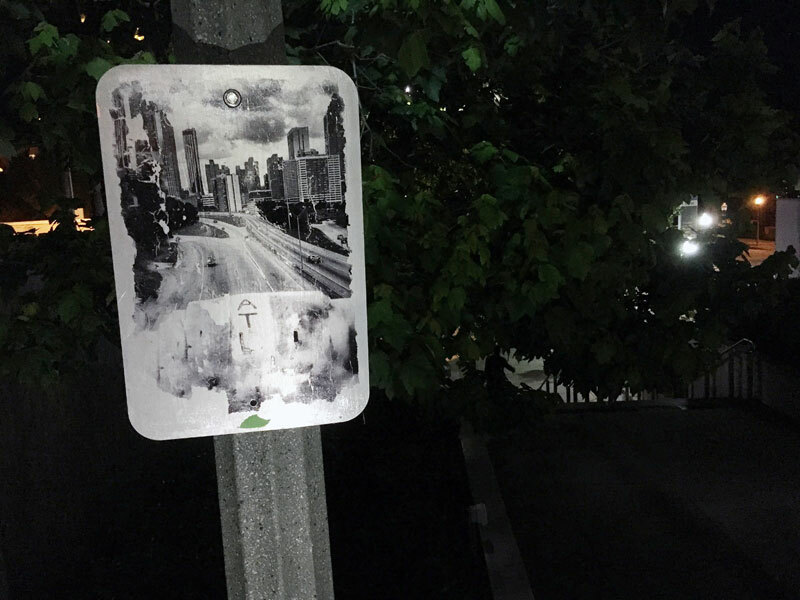 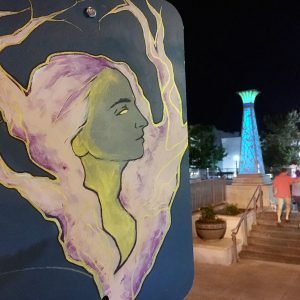 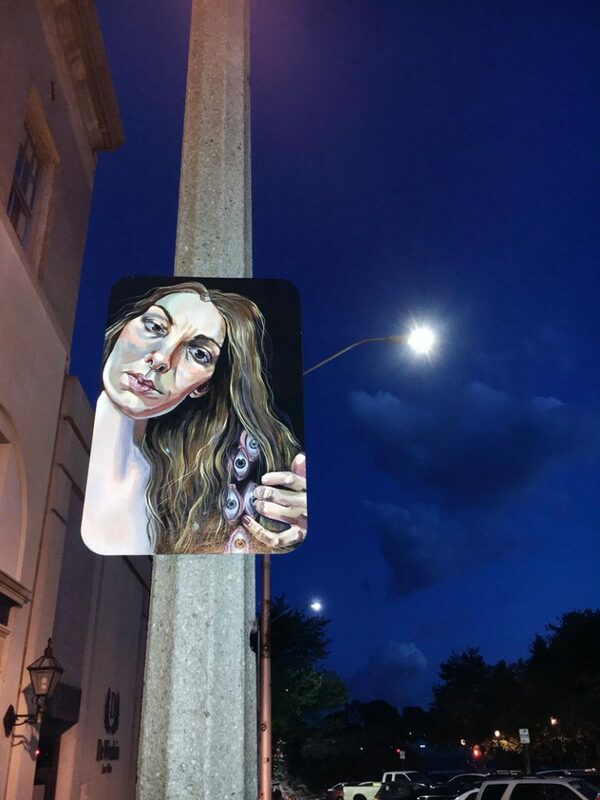 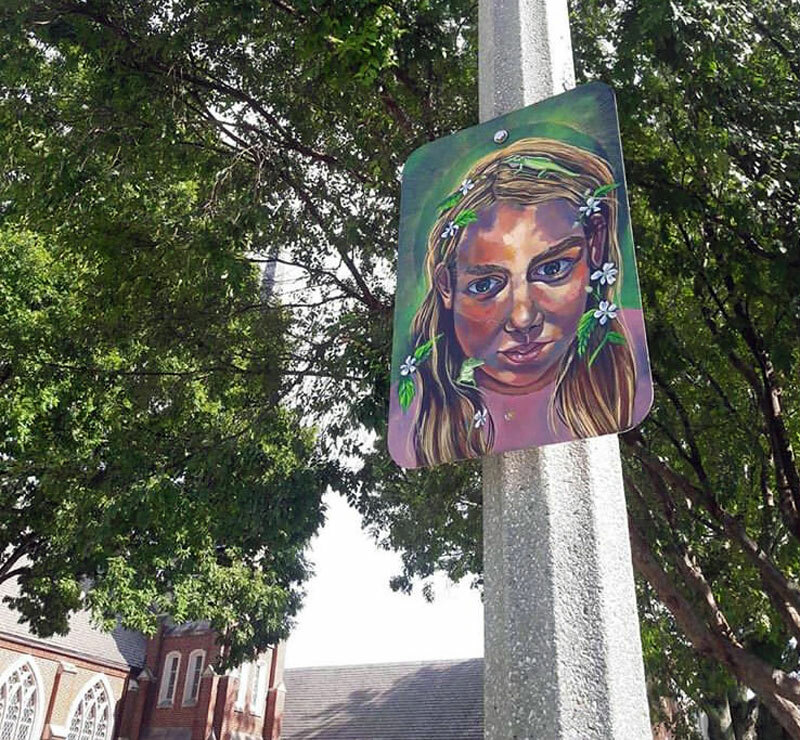 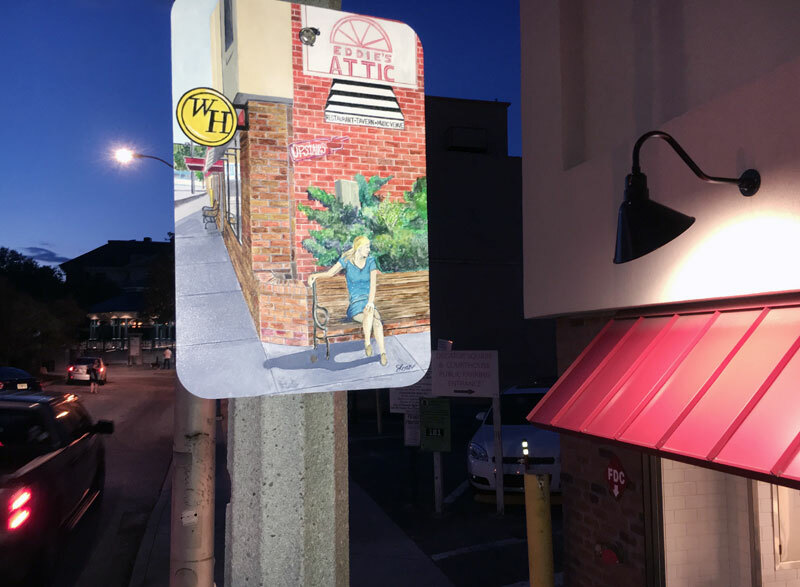 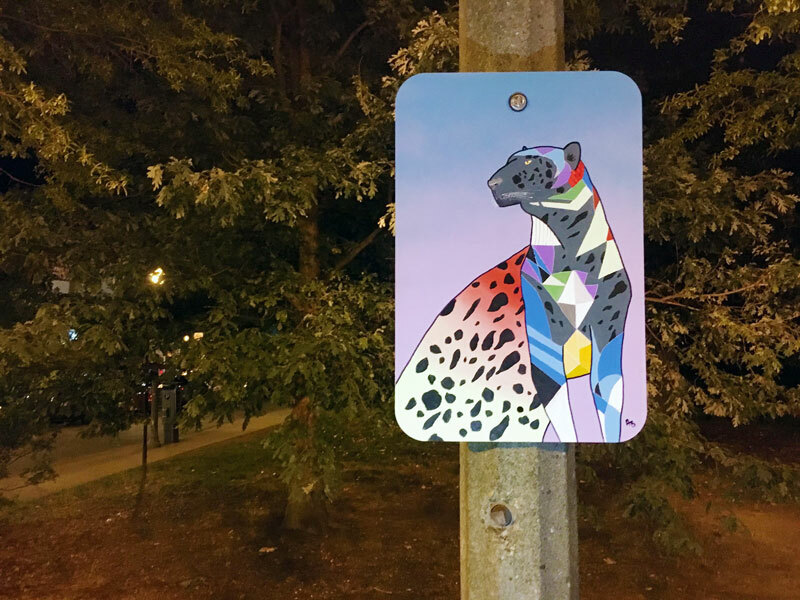 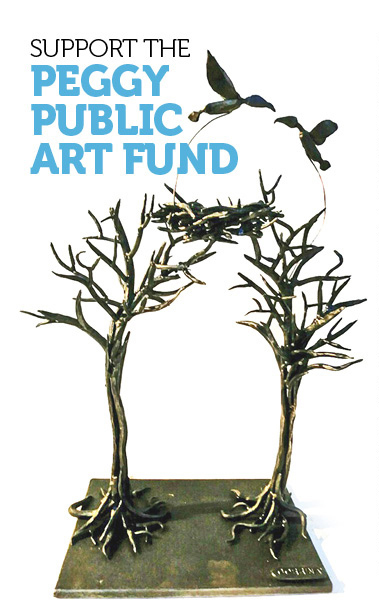 Decatur artist/instigator Larry Holland calls on his network of like-minded creatives to generate these mini paintings which are installed high overhead on street poles. 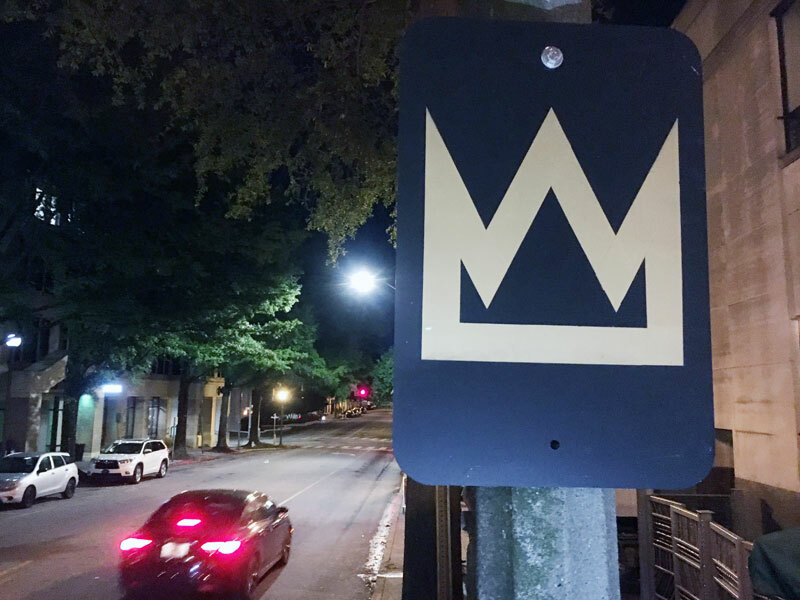 View or download a map here. 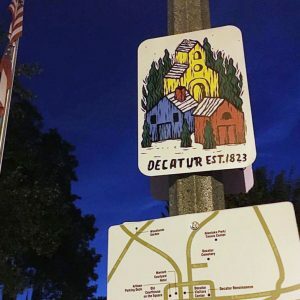 As Larry curates the sign postings, older ones are offered at an annual show and sale at the Decatur Arts Alliance gallery. 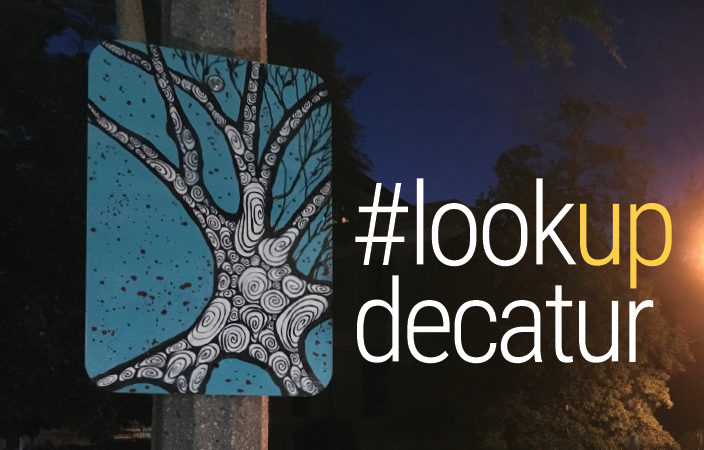 And don’t worry, Larry has plenty of new paintings to install in their places, so continue to enjoy the Decatur stroll and #lookupdecatur! 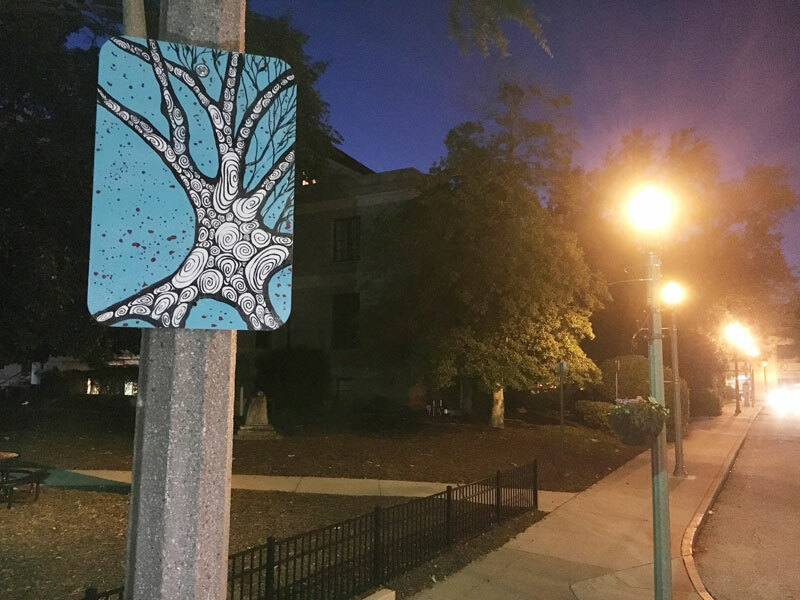 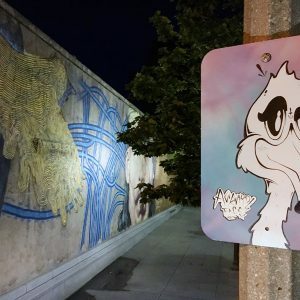 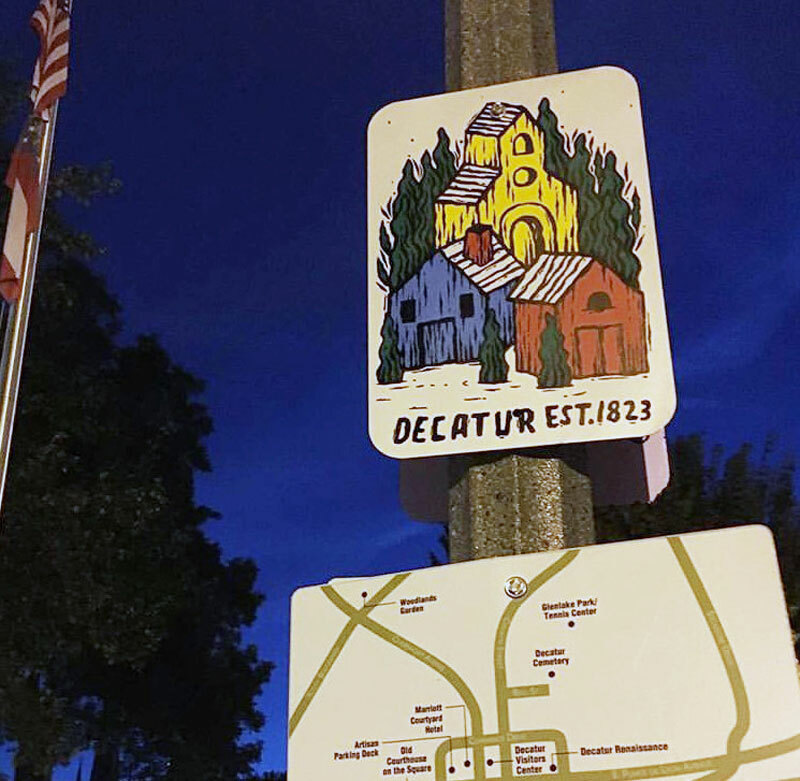 Decatur-based artist Larry Holland is the creative mastermind behind several community art projects including Secret Doors Decatur, Octopi Decatur, the Decatur Box Project, #gawrites, Animal Xings, and more. 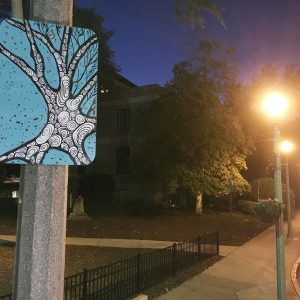 He recently had a solo exhibition at the Decatur Arts Alliance Gallery.